“He is faithful when we are not.” This popular saying reminds us of the real difficulty we have as sinful people to produce faithfulness. The Biblical story is, of course, littered with examples of God’s people being unfaithful. Whether worshiping golden cows, pursuing false gods, or failing to keep the law, the OT is one long story of God’s faithfulness to a rebellious people. The history of the New Testament church isn’t necessarily much better. We hear stories regularly of pastor’s blowing up their lives and churches, sexual and financial scandals have marked celebrity pastors. And the average Christian in the pews, so to speak, hasn’t done much better: divorce, addiction, heresy, and legalism can be found aplenty among us. So, how are we to become faithful people? 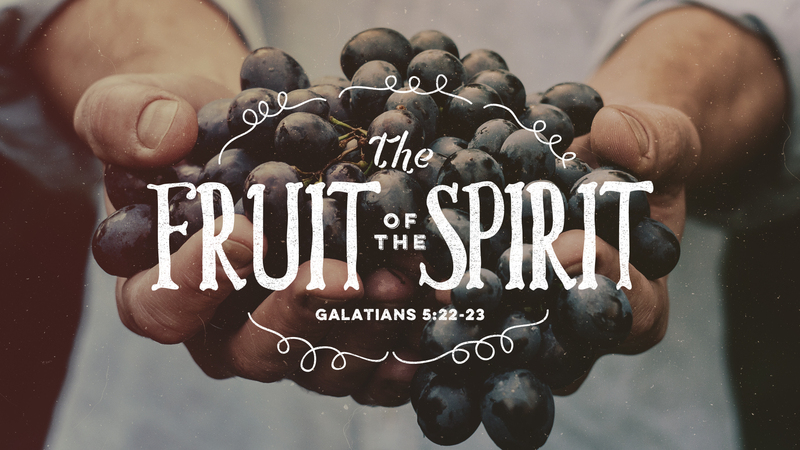 We must depend on the Spirit to help produce this fruit. Like all of His attributes, faithfulness is not a corollary description of God, it is at the core of who He is. To be the God of the Bible is to be faithful. As one like a “rock” He is unmovable, steadfast, a solid standing place. God can be trusted and relied upon because He is stable and consistent. In Him there is no “shadow of turning” (James 1:17); He doesn’t change, but remains the same yesterday, today, and forever (Heb. 13:8). Other passages continue this theme by highlighting outright the faithfulness of God. He is “loving and faithful” (Ps. 25:10), and “faithful in all He does” (Ps. 33:4), and His faithfulness knows no limits (Ps. 36:5). Great is His faithfulness (Lam. 3:23). God is faithful and as such He is able to produce faithfulness even in sinful and imperfect people. In fact, as a fruit of the Spirit it will naturally be produced in our lives. We will grow in faithfulness as the Spirit works in us. The New Testament anticipates and expects faithfulness of the people of God (Matt. 23:23). In fact is the great longing of every Christian’s heart that they will one day hear those welcoming words: well done good and faithful servant (Matt. 25:21). But we can do some things to help cultivate the production of this fruit in our lives. The biggest key is to use the fertilizer of humility. Faithfulness grows most abundantly in the soil of humility. When I am not concerned about my own interests and my own reputations then faithfulness to God will abound. Christopher Wright focuses on Moses as a key example (118-119). But Moses said to him, “Are you jealous for my sake? Would that all the Lord‘s people were prophets, that the Lord would put his Spirit on them! Moses can be faithful to the mission of God and desirous for all people to be as him because he has no place for jealousy in his own heart and life. Let all people be prophets if God so chooses! Secondly, Moses displays “a complete lack of selfish ambition.” In Numbers 14, when the people of Israel refuse to go into the Promised Land God invites Moses to start over with Him. God threatens to destroy this people and start over with Moses, but Moses pleads with God to remember the promise He made to Abraham. Moses has no ambition to “build an empire for himself.” He didn’t seek glory or fame, but rather sought to be faithful to the God of the Abrahamic Covenant. Moses can be faithful to this mission because he has been humble. In our own lives we want to strive towards this kind of faithfulness to God’s mission. For those of us in Christ it will come, God’s faithfulness – indeed Christ’s faithfulness – but we can cultivate it by striving to be humble before God. God is faithful even when we are not, but believers can, should, and will grow in such faithfulness.